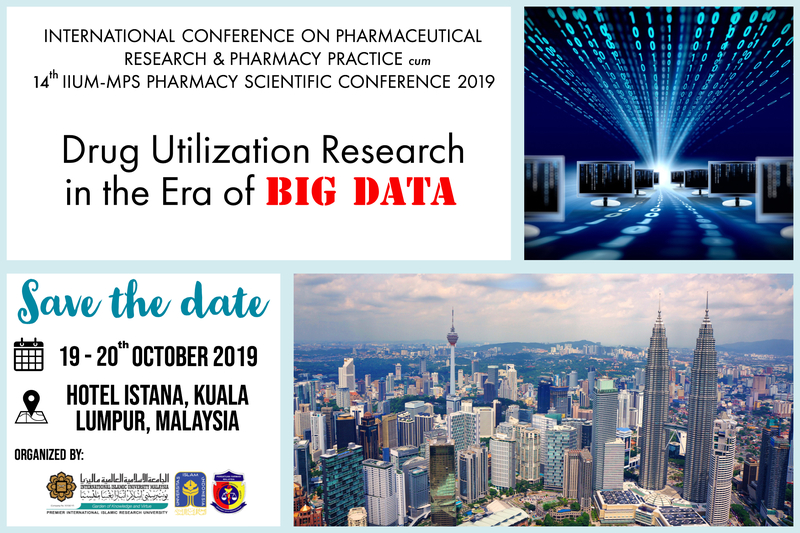 The International Conference on Pharmaceutical Research and Pharmacy Practice (ICPRP2019) is an interdisciplinary conference which will be held at the Istana Hotel, Kuala Lumpur, Malaysia on 19th to 20th October 2019. The theme ‘Drug Utilisation Research in the Era of Big Data’ highlights the importance of Big Data in transforming and enhancing the accessibility, affordability and quality of healthcare contributing to wealth creation for the country. Pharmacy is just beginning to touch upon the iceberg of information available and how pharmacy may benefit from accessing data about patient care, costs and treatment outcomes warrant further exploration. In Malaysia, the focus on big data has started and some initiatives have been put in place to share information on patients’ medical records and knowledge among public and private hospitals and clinics. We are engaging a group of renowned international and local speakers to share their knowledge and experience on drug utilisation and Big Data. The Scientific Committee is planning a comprehensive programme that will give delegates the opportunity to update themselves with the latest in drug utilisation and other pharmacy research that can be incorporated into their own practice. We would also like to encourage all of you to submit an abstract for the free paper or poster sessions for you to share your own experience and research in your country or institution and also stand a chance to win attractive prizes. Visit https://conference.iium.edu.my/icprp/ for more details.